London, 2218 A.D. Seventeen-year-old Zee is an intern empath. She’s focused on her job, poised for a great career—until one day an attractive patient undoes her hard-earned calm. As an empath, she cannot afford such distractions, but neither can she stay away from David, even when she discovers he’s one of a mysterious alien race. As London comes under attack by anarchist bombings, and as Zee struggles to get a handle on her unusually strong psychic abilities, David starts pulling away. Although Zee’s sure he’s attracted to her, David has secrets he cannot share. But it’s too late for Zee. She’s losing her heart to the gray-eyed alien boy, and she’s determined to follow him—no matter how far it may take her. Too short. That sums up this book pretty well for me. I read this book in an hour and a half while waiting at an appointment. Although it was nice to speed through a story and not have to worry about finishing it at home, the shortness hurt the book in a few ways. To back up a bit, Zee is living in a future earth where mind abilities are used in hospitals to help with healing. Zee is an empath and in her duties takes care of an alien who startles her and is someone she is attracted to. Against her best interests, Zee develops a relationship with the alien (a big no-no) and goes through tons of drama when they are being kept apart. I really wanted to believe the relationship between Zee and David. However, with the brevity of the book, I lost all sense of a building relationship- they literally met each other- met a second time- were talking like they had been together for ten years. It didn't add up for me. Neptune's Tears is incredibly creative. The entire world that the author has created is fun to read and is absolutely fascinating. I really enjoyed the terrorist background story as well as the side characters. I thought that part of the book was absolutely solid. Like I said, if another 100 pages could have been added this book would have went from enjoyable to fantastic. Neptune's Tears is a short and fast paced read at a little over 200 pages. The story reads like a well-written and edited novella. 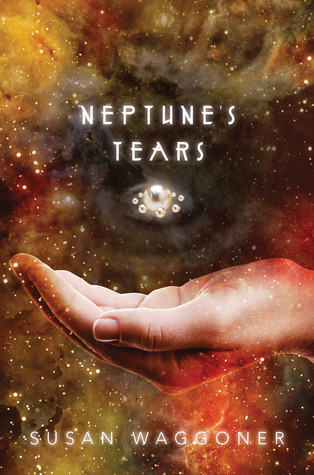 With minor character development and one major love story, Neptune's Tears is a good book when you only have a short period of time to read.